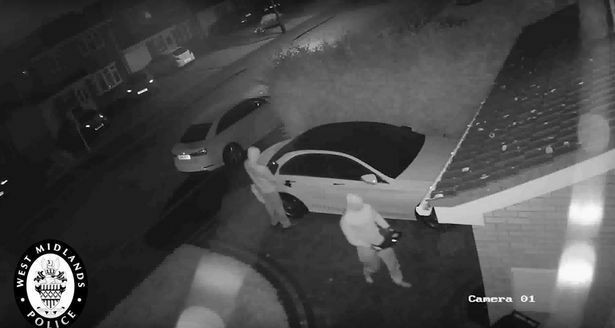 Police in the UK have issued a warning about keyless technology used in vehicles equipped with fob technology after a Mercedes was broken into and stolen in under a minute using relay boxes. A video was obtained from nearby surveillance showing the criminals pull up to the victims house, and then approaching the house with a relay box tricking the car into thinking the fob is present and unlocking the doors. Once the doors are unlocked, the car was also able to be started as it was equipped with keyless ignition (push button start) and disappears never to be seen again. The Mercedes was stolen in Solihull, England during the night on September 24, 2017 and has not yet been recovered. West Midland Police warn drivers with fob technology to ensure the car has the latest software up to date and to use other methods of protecting the vehicle such as steering wheel locks and other deterrents. With the technology available to us today, I think the manufacturers should spend less time trying to simplify easy tasks such as locking,unlocking a vehicle, and more time on finding a solution to reduce texting while driving that works with both iOS and Android. And the solution should be affordable for all drivers, and for all vehicles, not just newer vehicles. If you have a key fob enabled vehicle, make sure you keep your fob far away from the front door to avoid this real life gone in 60 seconds from happening to your own car.